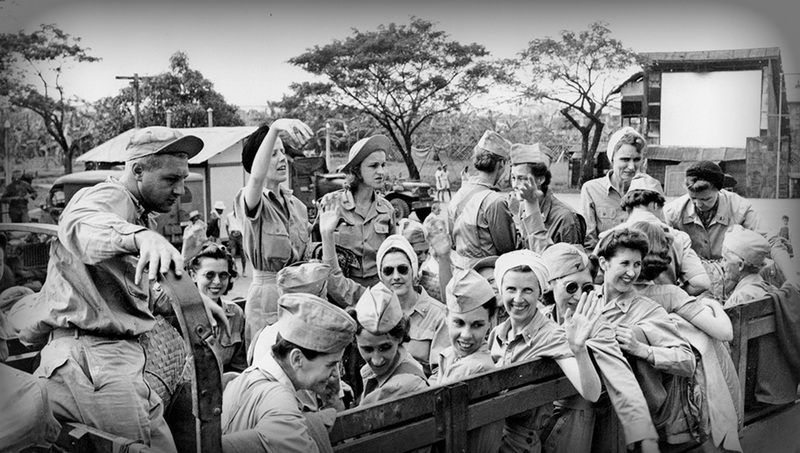 As the Allied forces recaptured the Philippines in 1944-45, the US Army's 1st Cavalry Division entered Manila in February 1945 and liberated the Army nurses who had been held in the Santo Tomas Internment Camp for three years. Here they are shown in their newly issued uniforms as they board trucks for the trip to the airport and freedom. 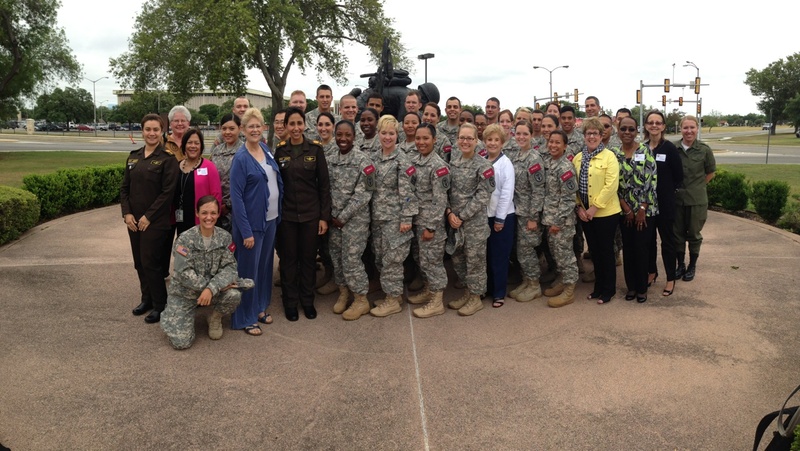 ANCA members are shown here with Basic Officer Leadership Course students following their luncheon together at the Army Medical Department Museum in the Spring of 2015. The exact provenance of the name given this variety of the flower by its hybridizer is unknown, but the Army Nurse Corps is proud to be represented by such a beautiful and hardy flower. 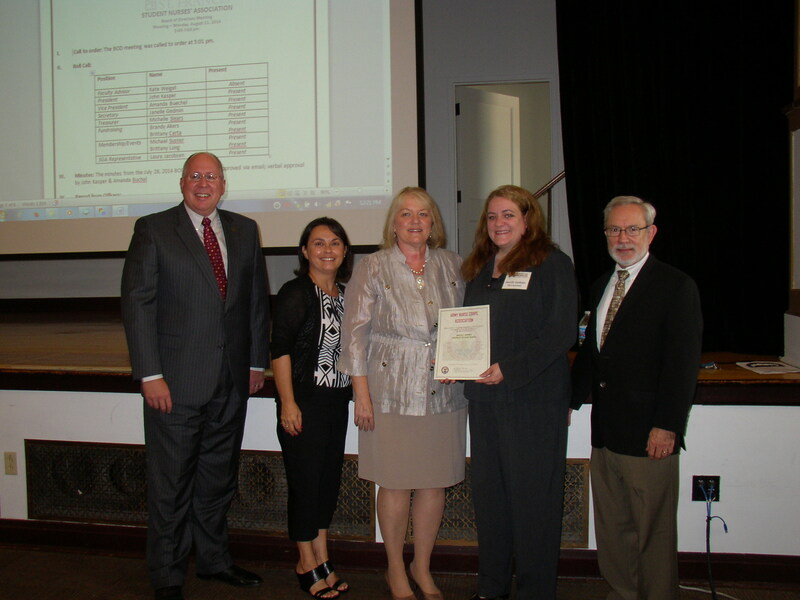 Janelle Gedmin (second from right), a junior nursing student at Leach College of Nursing, University of St. Francis, Joliet, Illinois, is presented her ANCA scholarship award in August 2014. Also shown are University President Dr. Arvid Johnson; ANCA member Dr. Linda Mast; Leach Associate Dean Dr. Deb. Peterson, and Provost Dr. Frank Pascoe. Former ANCA Presidents LTC (Ret.) Amy Johnston and COL (Ret.) Jeri Graham (first row, left and right of center) attend the Walson Army Medical Center celebration of the 113th anniversary of the founding of the Army Nurse Corps. ANC officers at the center modeled a variety of historic uniforms for the occasion. 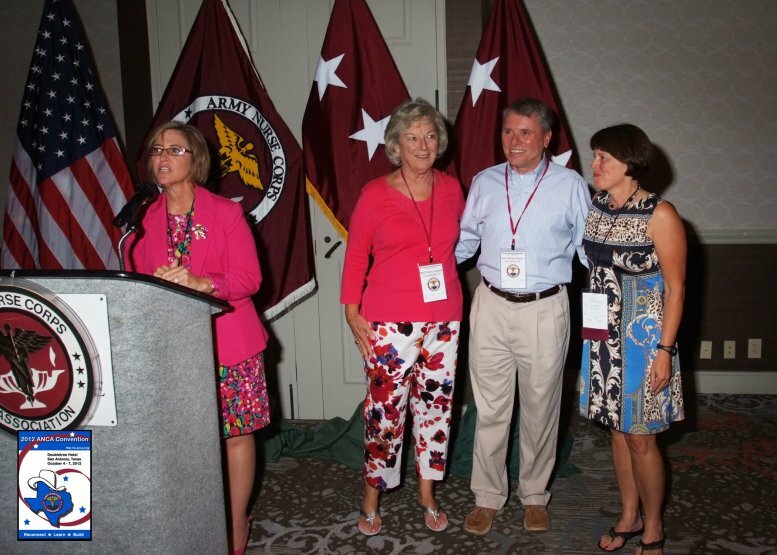 An unusual conjunction of Army Nurse Corps leaders occurred during the 2012 ANCA convention in San Antonio. 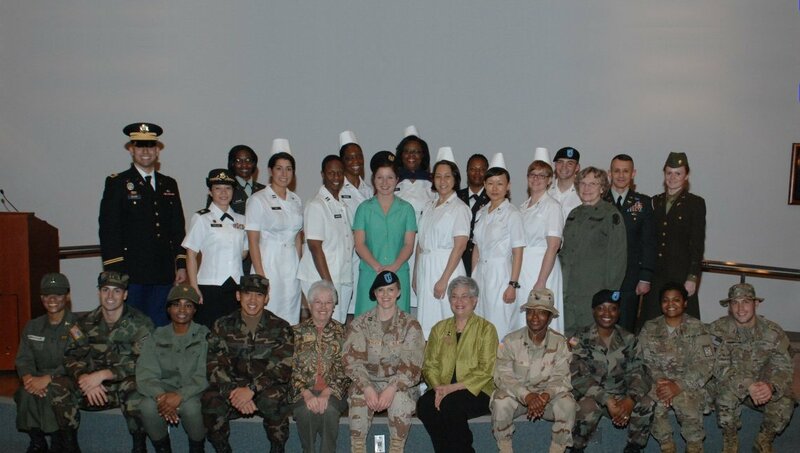 Shown here (L-R) are The Army Surgeon General and former Chief, ANC LTG Patricia Horoho, former ANC Chiefs MG (Ret.) Nancy Adams and BG (Ret.) William Bester, and present ANC Chief MG Jimmie Keenan. 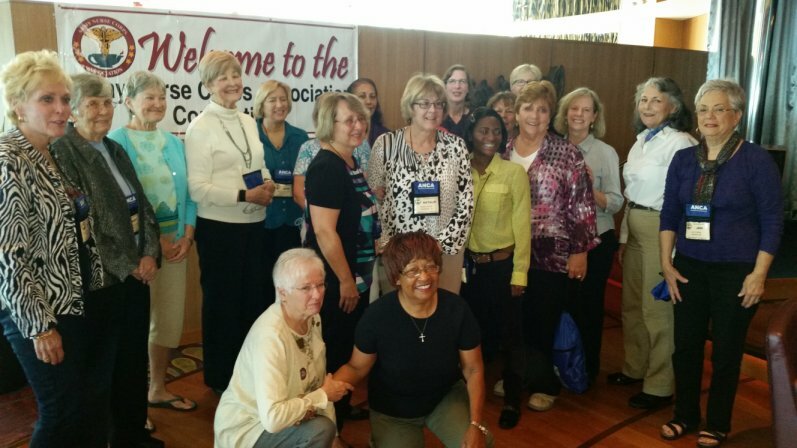 In 2014 ANCA held its first Convention at Sea aboard the Royal Caribbean Line's Grandeur of the Sea in a cruise along the coast of New England and Canada. This photo shows the group of Region III members who attended.